When you grow up there are supposed to be things you leave behind. Swinging on the playground. Eating cereal that turns milk into a rainbow. A lot of people would put reading a picture book on that list. Not so fast. While picture books are most commonly aged as 3-7 or 4-8, there’s no magic cut-off that after age 8 you get thrown out of the picture book pool. In fact, there are many picture books that are sophisticated enough to appeal to a much older child, reaching as high as age 12. But let’s first talk about the format. It’s not kids who I hear say, “Oh, a picture book is for babies.” It’s the grownups. I heard an adult say it in a bookstore and I almost passed out. The child looked at the book longingly and dutifully followed the parent to the beginning reader section, where the drill sargeant parent said, “These are the right books for you to read yourself.” Oh, the horror. And what a missed opportunity to get what is inherently what you want: a child excited enough about a story to want to read it. Any story. In any format. I understand the tendency parents have to prod kids to do things independently, thinking that the longer they help the longer it will be until that child learns to do something on their own. You probably don’t want to be dressing a 10-year-old because, well, if you are still dressing him at 10 it seems unlikely that he might be motivated to do it on his own. But the same doesn’t apply to books. Reading together is one of the best things you can do to foster a love of reading. Period. 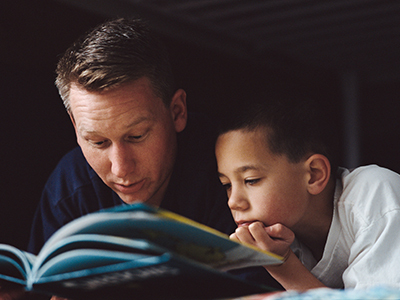 Even if your child is, or in your opinion should be, reading independently, reading to him doesn’t cancel it out. It’s not like you are putting his shoes on for him. And while chapter books or novels are wonderful to read together, don’t forget about picture books. With picture books you aren’t just sharing a story, you are sharing beautiful illustrations and artwork, designed with the text, layout, and visual flow in mind. 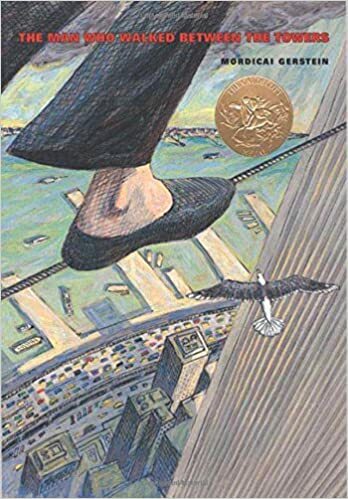 A picture book in its best form is a piece of art. Is your child ever too old for a piece of art? Of course not. We’re still happily reading books together. But with my oldest on the brink of another birthday, I get teary-eyed thinking of how big he’s getting so quickly. I fondly recall the days when he’d happily read through his entire bookshelf, and not just to try to stay up later. “Just one more?” he’d ask with the biggest, most beautiful brown eyes on the planet which, for the record, are almost impossible to turn down. 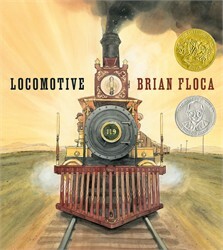 The Caldecott Medal Winner, Sibert Honor Book, and New York Times bestseller Locomotive is a rich and detailed sensory exploration of America’s early railroads, from the creator of the “stunning” (Booklist) Moonshot.It is the summer of 1869, and trains, crews, and family are traveling together, riding America’s brand-new transcontinental railroad. These pages come alive with the details of the trip and the sounds, speed, and strength of the mighty locomotives; the work that keeps them moving; and the thrill of travel from plains to mountain to ocean. Come hear the hiss of the steam, feel the heat of the engine, watch the landscape race by. Come ride the rails, come cross the young country! 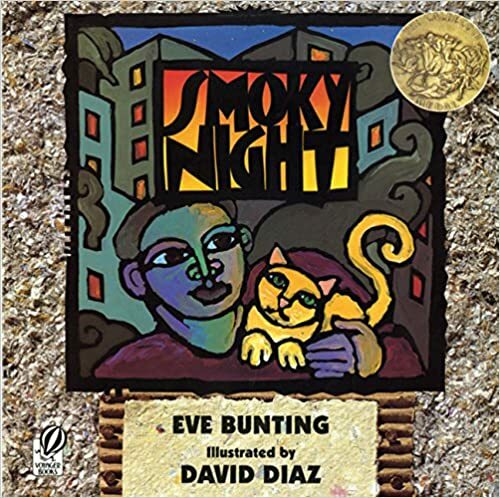 The Los Angeles riots made author Eve Bunting wonder about what riots meant to the children who live through them -- and what we can all learn from such upheavals. 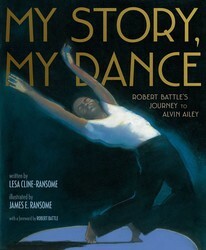 A boy discovers his passion for dance and becomes a modern hero in this inspiring picture book biography of Robert Battle, artistic director of the Alvin Ailey American Dance Theater.